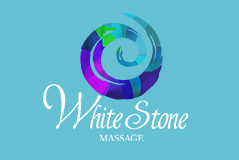 Deia is a certified Remedial Therapist and Owner of White Stone Massage. In this passed 6 years, she has been developing her skills in numerous modalities such as aromatherapy, cupping, hot stones, pregnancy, as well as in the body frequency energy field, such as reiki and energy healing where she obtained her masters. Deia enjoys working with people helping them to minimize the causes of discomfort descendant from many aspects of daily basis life. Passionate for energy work Deia enjoys giving support to peoples life journey and purpose with her energy healing treatments. "My aim is to support and assist people who are looking for answers, clarifications and guidance in life, therefore help them to function in their physical and mental optimal level to find the balance of a harmonious and happy life”.